Reggiana UK Ltd are delighted to announce the arrival of the DNV-GL ST-0378 type approved new ‘W’ series planetary Winch drive! 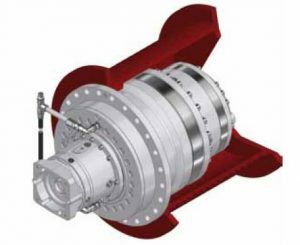 The new W series is the ideal “in drum” solution for compact winch applications. Being compact and flexible and built with the quality and integrity found within the entire Reggiana Planetary range. -With external input reduction sets, we can bring great flexibility, with ‘Strong’ ratio combination within a minimum time frame. – With negative fail safe brakes with backstop. Please see the attached catalogues and contact our technical sales and application office where we will be pleased to assist.